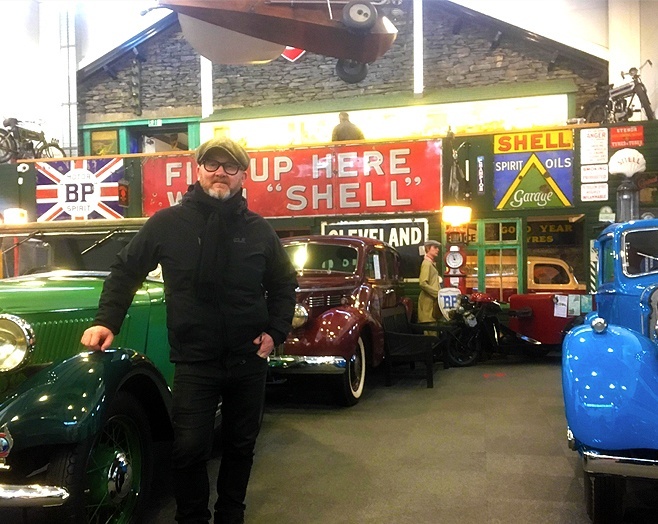 The team at the Lakeland Motor Museum were paid a surprise visit by Drew Pritchard, the presenter of TV’s Salvage Hunters today (January 9). Drew and his team stopped-by having spent two days scouting for potential locations for the next series of the hit show and came to the museum having had fond memories of a previous visit five years ago. In September last year, the show’s production team expressed an interest in a return to Cumbria and have been visiting numerous locations which may be suitable for the forthcoming new series. 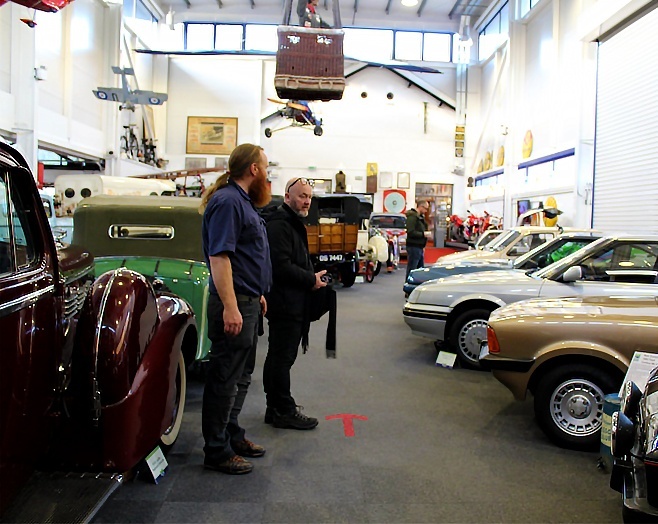 Drew, a motoring enthusiast and collector enjoyed a tour of the museum, personally guided by Operations Manager, Chris Lowe (pictured below). Drew says, “I have to say, this is one of the best museums in the country. It’s definitely up there as one of the top three motor museums in this country for sure, if not in the whole of Europe. It’s right up there and is a great take on the motoring world. I like it an awful lot. It’s a huge mix and I really enjoy it. Looking around the museum, Drew commented, “If I could take any of these for a spin, it would have to be Donald Campbell’s Bentley. That’s a car I could own for the rest of my life. The last time I saw it, it just caught my imagination and it still does now when I see it. It’s a wonderful, wonderful thing. And now, you’ve got an SS100 Jaguar here too! What a car. In my opinion, one of the most beautiful cars ever made. 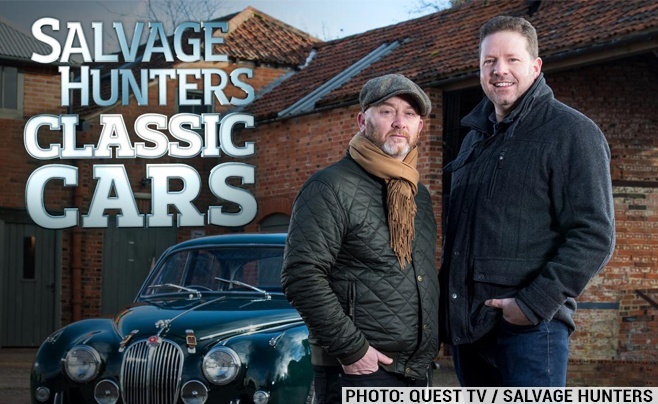 Salvage Hunters: Classic Cars is a new show on Quest that sees Drew Pritchard teams up with Turbo Pickers’ Paul Cowland for a motoring mission. They scour the UK, buying, restoring and selling classic cars. The show will be air in mid-January 2019. Full details on the Quest TV website.